“A fully autonomous pothole detector that updates a visual backend in real-time, and also provides detailed data stored on an SD card. 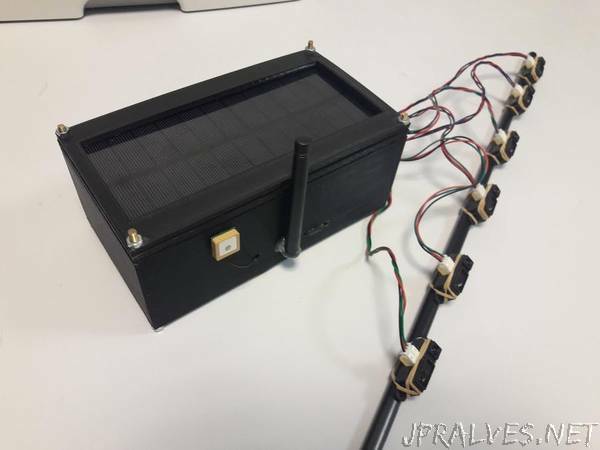 Its array of 6 infrared sensors mounted under the vehicle pointing downwards detect changes in distance between the vehicle and the road, thus detecting potholes. The system’s accelerometer can also detect the potholes and abrupt shocks the vehicle experiences due to abnormal vertical variations.